Northwest National Real Estate: Sale Pending! Country Home For Sale! Sale Pending! Country Home For Sale! 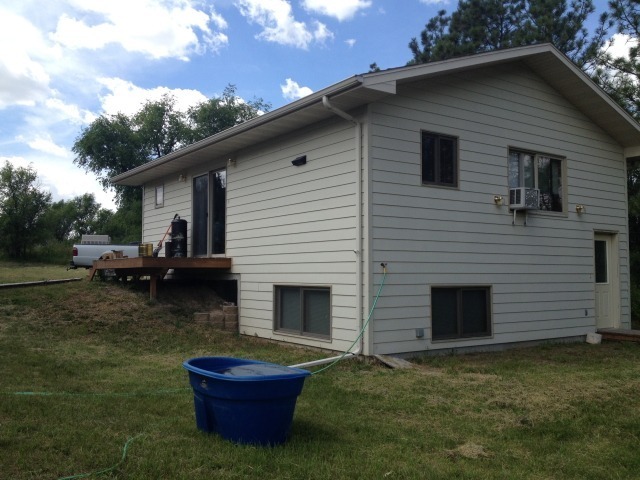 We have a nice 15 year old home on 17+ acres in Martin, South Dakota for sale. This one has highway frontage, easy access and yet it is completely hidden from the road. Trees surround the 2 bedroom, 2 bathroom home. The home has electric heat along with a gas heater. There is a main floor bedroom, bathroom, kitchen and living area. There is a basement bedroom and bathroom and living room with lots of extra insulation. The home has a convenient location, but yet lots of privacy. There is fiber optic service at the home site. The acreage includes a mature planting of evergreen and leaf trees, alfalfa and grass acres. Other improvements are a 37' x 48' insulated shop, a 48' x 120' quonset building and 10 grain bins from 1,000 to 4,100 bushels. This would make a great horse property. Contact Brad Otte at (605) 685-6716 for more information. Plan to see this one Priced at $165,000.